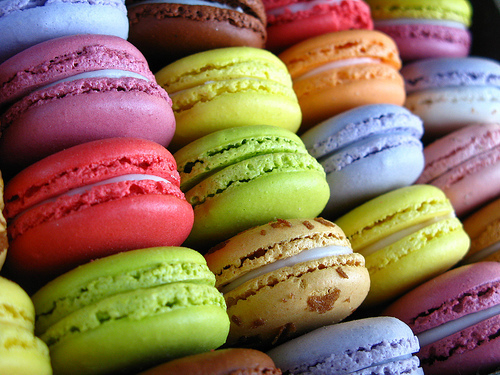 The object of my affection – the subject of some of my baking dreams. You guys, I had a recipe recipe sitting on my mental to-do list for almost a year! The procrastination was equal parts time limits and intimidation. Finally, I had a solid afternoon with nothing planned and was ready to face the worlds most impossible cookie! 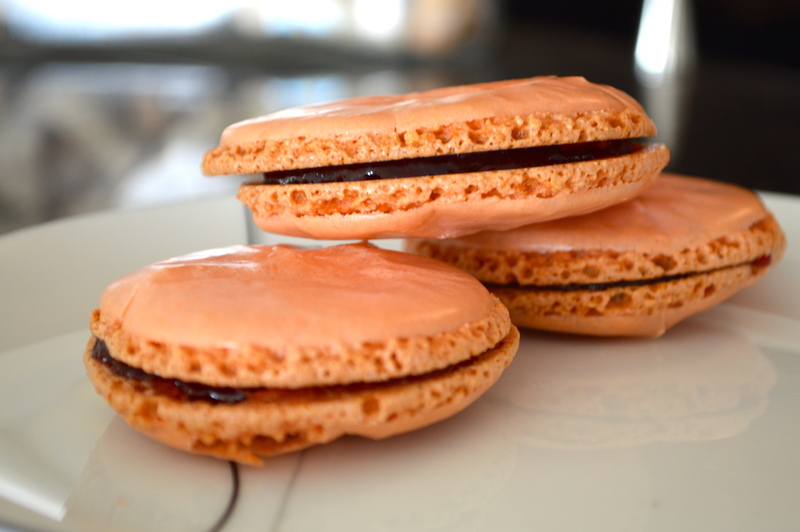 The funny thing is, when talking about making this french delicacy, macaron and macaroons are constantly confused. This version I can assure you is coming from a VERY different place. 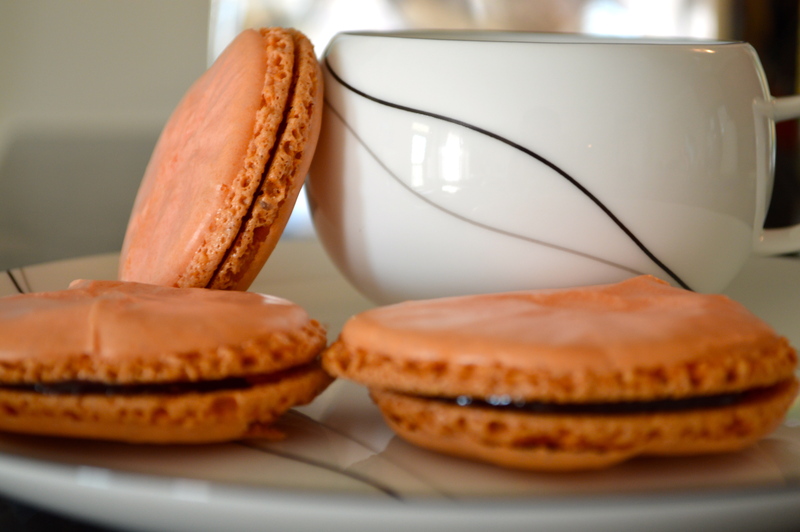 I’ve been dreaming of airy, fluffy and light french macarons. *Full disclosure though, the photos of the beautiful ones you see above are the only good looking ones out of the batch. 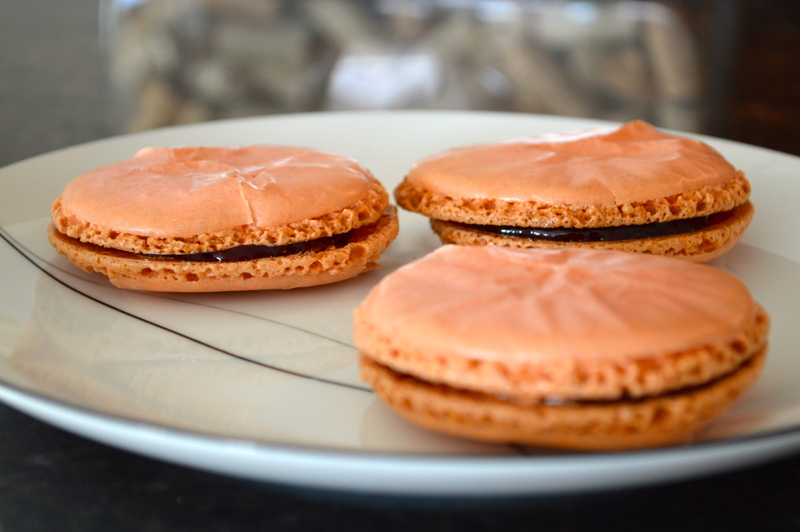 It’s on my list to try again very soon… I do not admit defeat. They don’t seem as fluffy as they should be, so there’s definitely room for improvement, aesthetically at least. I do have to say, these cookies are FUSSY! 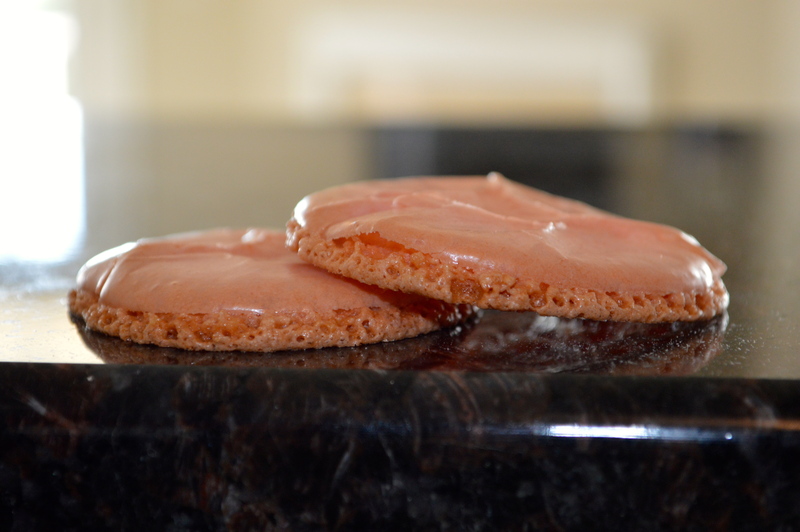 I had to go out and find rubber baking mats along with various other kitchen ingredients that I’ve never used such as almond flour and superfine sugar. 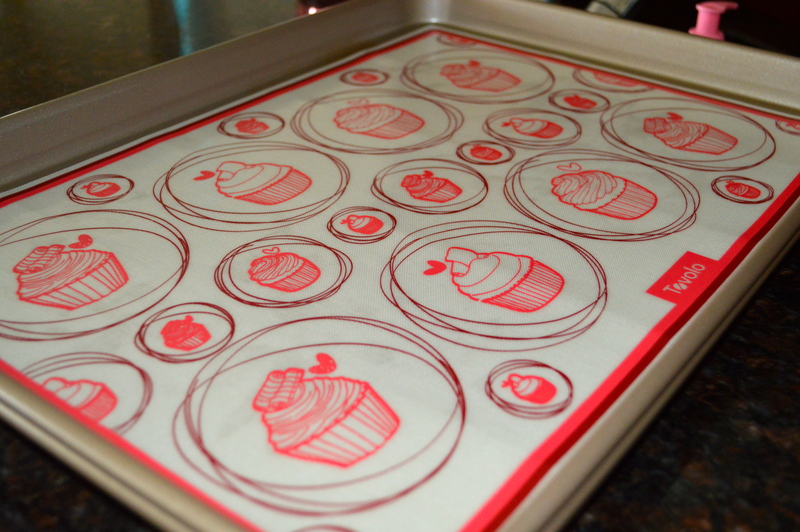 Not mad about finding these adorable rubber baking matts. The first step is to sift the almond flour and confectioners sugar; I created a makeshift sifter (read: illegitimate) since I didn’t have one. To be honest – I don’t think it negatively impacted my little guys at all! 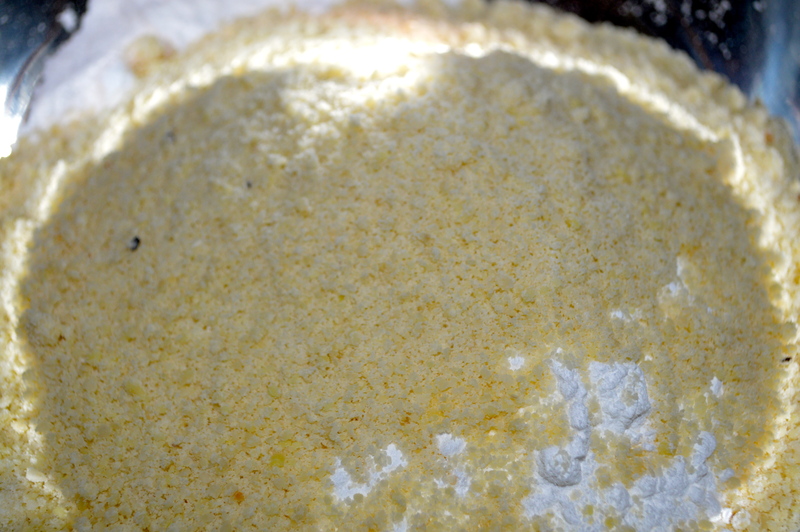 Dry ingredients – definitely still some chunks. 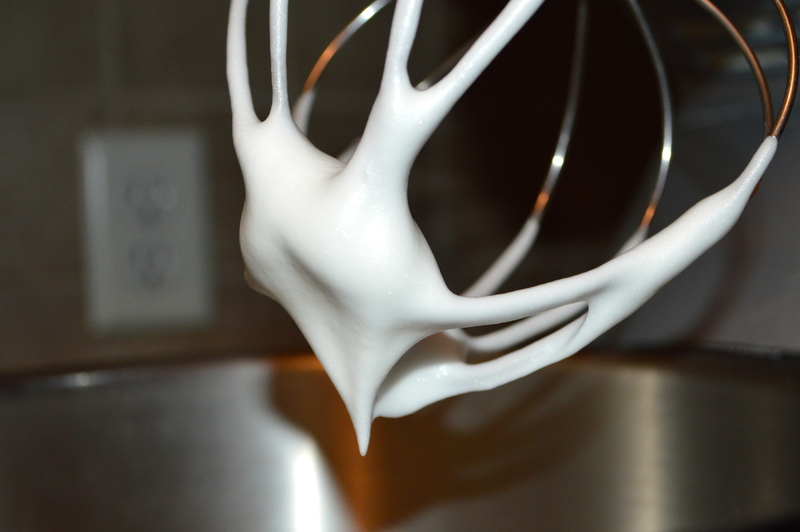 Then its whipping those eggwhites into oblivion. I love this part; I set the mixer on high, put up a load of laundry, and cleaned all my dirty pots and pans. Yay for multitasking and stand mixers! Add neon food coloring, and mix until shiny. This part was a bit tiring since it was to be done by hand, but the pink color made it kinda fun! The filling in these guys is a seedless raspberry jam once they cool down. I found, can you believe it, a hard copy recipe from the Food Network Test Kitchens in the Food Network Magazine. I was visually assaulted by the beautiful glossy pages with step-by-step directions and photographs in bright and pastel colors ranging from almond raspberry, mint-white chocolate, blueberry cheesecake (these are up next – stay tuned!) 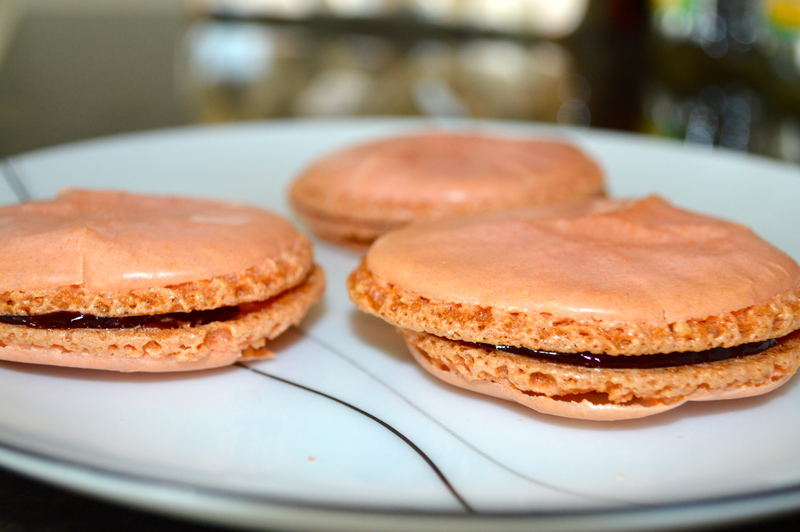 lavender honey, and pineapple macaroons. All in all, I am proud of this attempt, however definitely want to keep going with trying to master these pups. Also, as you guys know, September is full of birthdays, celebrations, and more baking, stay tuned for some of my old favorites!